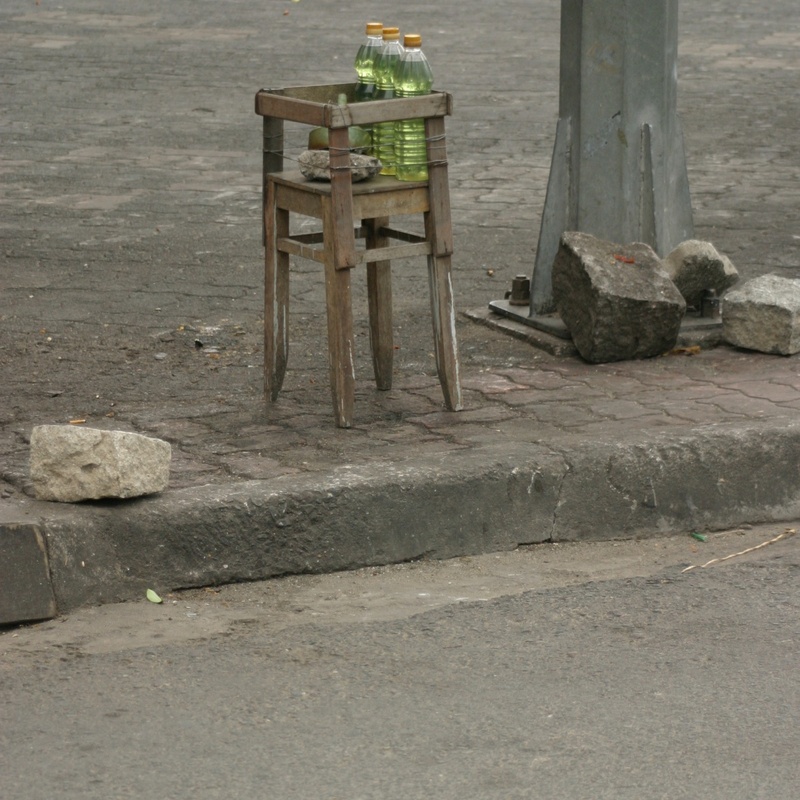 If you need gasoline for your motorbike you just have to search for green bottles on sidewalks. Usually you don’t see anyone standing there, just a bottle. Just stop next to it and someone will show up with a liter and a filter.